An electronic device that converts energy from one form to another is known as a transducer. With Dynisco pressure transducers, the process fluid applies a pressure force on a thin, bendable metal diaphragm at the apex of the sensor. This subsequently places stress on a small sensing device known as a strain gage. Following this, the strain gage converts the pressure stresses to a low-level millivolt signal. This can be further conditioned to an additional signal variety. For a number of reasons, it is highly preferable to ensure that the strain gage is as near as possible to the process fluid when designing a sensor. On the other hand, the performance of the strain gage can be compromised where the high temperature of polymer melt in an extrusion application pushes this sensitive gage to exceed its measurement abilities. To maximize the performance of the strain gage, without compromising its ability to function, the sensing element is positioned remotely, separating it from the damaging high temperatures. 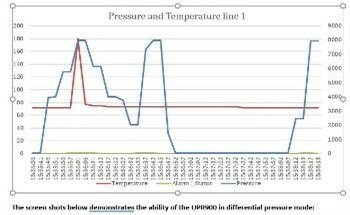 The difficulty is now in transmitting the process pressure to the strain gage without compromising the reliability of the pressure force. To manage this, it is important to use a transmission fluid that will most effectively replicate the pressure process across a distance. It is vital that the fluid has the physical properties necessary to carry out the task. Mercury (Hg) is the most broadly employed transmission medium for high temperature plastics processing applications where the polymer is melted and formed. The density of mercury means that it is extremely resistant to compression, and will therefore accurately signify process pressures beyond 30,000 psi. Additionally, mercury is unusually insensitive to thermal expansion when subjected to heat. Mercury is also able to uphold its liquid properties, resisting solidification, boiling or vaporizing, at extreme temperatures from below freezing to above 350°C, at which other liquid metals and fill materials would be affected. At this time, no other material has been identified which can match mercury’s performance. A disadvantage of the use of mercury is its classification as toxic. In the early 1990s, the US created the Clean Air Act, aimed at addressing mercury emissions in coal-fired power plants. Further regulations following on from this in both the US and other countries have resulted in programs designed to control mercury use in all applications to the maximum level possible. NaK is classified as non-toxic, Generally Regarded As Safe (GRAS) by the USFDA and has high temperature limits. 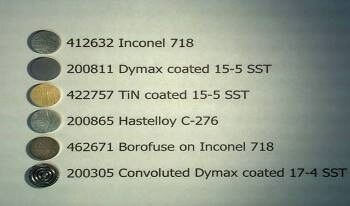 However, it cannot be employed in FM Explosion Proof areas, as NaK quickly oxidizes (ignites) when in contact with air. Further to this, NaK's has inferior compressibility when compared to mercury, meaning that the high-end pressure ranges are limited to 10,000 psi, and the distance from the process that the strain gage sensor can be placed is also restricted. Dynisco offers NaK as a substitute fill. Oil is also categorized as non-toxic and Generally Regarded As Safe (GRAS) by the USFDA, but as an organic compound, oil degrades at higher temperatures, leading to limited life cycles and temperature limits. Dynisco provides oil as an alternative fill for food and medical applications. Additional fill materials have been employed with limited success. For example, galistan (liquid metal gallium, indium, and tin) is classified as non-toxic, but, unlike mercury, galistan adheres to and causes corrosion in other metals - such as the capillary tube - even when those metals are coated. The issue is exacerbated at higher temperatures. Dynisco investigated galistan, but does not offer it as a substitute fill. The volume of Hg in a 6” Rigid unit is ~ 0.0016 cubic inches. For Flex configurations, the additional volume is 0.00095 cubic inches/feet (i.e. the total volume of a 6/18 is ~0.003 cubic inches). Mercury exemplifies the most effective technical alternative for precise, repeatable, high temperature, and broad range pressure sensing applications. 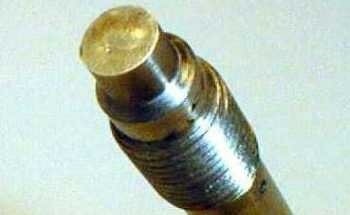 Additionally, Dynisco supports a reclamation program, reutilizing mercury from returned sensors.